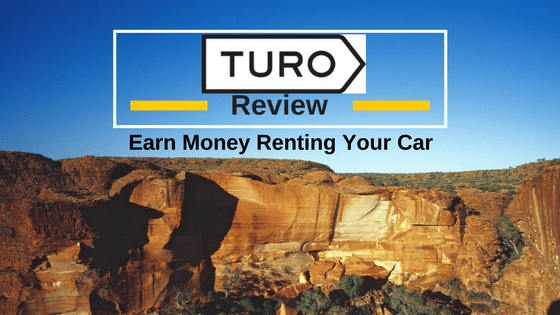 Home › Reviews › Is Turo Legit? What is Turo? Is Turo Legit? Probably the two more important question pertaining to Turo. These questions and more, I will answer in this review of Turo. The ways to make money is constantly being creatively born each day in this new and ever-changing world in which we live. As we see new ways to earn money almost daily. It’s what keeps the beautiful world we live in refreshing and exciting. I did a review on a similar company that is a peer-to-peer delivery system, and it can be found here, What Is The Roadie App? Maybe you have heard of Turo, or perhaps you haven’t. It was formerly called RelayRides before it the company changed its name to Turo. Turo is available only in the U.S and some parts of Canada, but not available in the state of New York. Its specific field is called Peer to Peer carsharing. Turo is basically renting your car, truck or van out, for cold hard cash and/or renting a car if you need one from anywhere nationwide. Providing a service for both car owners needing extra money and people who need a car to rent. For our purposes we will be focusing on the renting your vehicle for the extra income. Mostly, for people looking to make some money. It’s just sitting there collecting dust anyway, right? So you would be potentially providing a vehicle to someone, who would need the use of your vehicle. I know all kinds of cautionary questions are just popping in your mind with the idea of a stranger taking your precious baby for a spin. We will deal with those concerns and see if it is worth it or not. Can you make money and still have your car in one piece at the end of it all. Your car must meet Turo Requirements in order to qualify being listed on Turo’s available rentals. Their list is quite substantial but I will bullet a few of them. More detail can be found at their website. Must have valid personal insurance on your car. Must have a fair market value less than $75,000. No vehicles requiring a CDL. What happens when your car is damaged or in an accident? If you plan on renting out your car, you should become very familiar with their insurance policy. You can read more about it here, Detailed explanation of insurance and protection provisions renters. A very important note about insurance on your car(s) that you rent out through Turo. Your personal insurance is never involved in any incidents involved with renting through Turo. There are 3 protection plans available at Turo, Premium, Standard, and Basic. I decided to put up Turo Protection Plans as it is a critical feature that must be thoroughly thought through before deciding. The better the coverage, the less you make per renter, but also have a better piece of mind with the Premium package. How Much Can You Expect To Make Using Turo? Like a lot of things, there are many factors determining how much money you will be earning renting your car out. You can either set the price you charge daily or have Turo dynamically set the price for you, based on your region of the country. What type of car, the year and make all determine what to expect to receive daily. 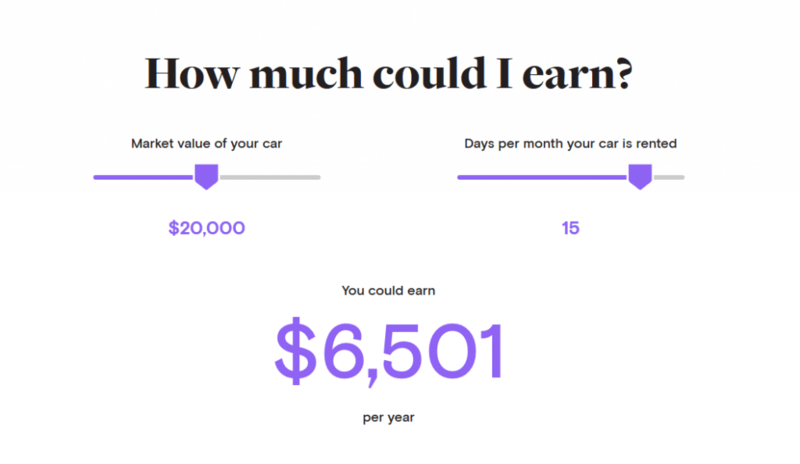 Turo has a nice slider feature where you slide the bar to the market value of your car and how many days you want to rent it out for to determine what you can expect to earn in a year. How Much Could I Earn? How soon are your paid? Payments take place five days after the renter has returned the car. It is directly deposited into your bank. Keep in mind you will earn 65% to 85% of the trips price, depending on the Protection Plan you choose. There are three methods of delivery at Turo. Deliver your car. This option allows you to set a price for delivering your car, a way to earn extra income. Home pickup. Renters can come right to your house to pick up your car. Turo Valet Service. Only available at LAX and SFO airports. 1 Million dollars in liability insurance coverage for each rental trip. For Theft and physical damage. 30% less than standard car rental services. So you have a competitive edge on the big guys’ prices. Turo is in over 2,500 cities. All major cities covered. In 300 Airports in the U.S.
Turo claims on average $600 average monthly earnings. Payment is done by direct deposit to an account you have set up. Book Instantly feature makes renting your car easy for people wanting to rent a car. Your personal insurance never gets involved with renting your cars out through Turo. Turo has a nice feature where you adjust the value of your car with the number of days you would like to rent out to come up with an estimated amount per year you would make. It can be found here How Much Could I Earn? Completely free to list a car on Turo. The calendar feature is very handy, allowing you to dictate what days and/or hours the car is available to be rented. Full background checks are done on all each traveler. Keeping bad drivers and criminals from renting cars from Turo. Most cars include the standard 200 miles a day limit. Can make $0.75 per mile over the daily limit if a guest goes over the daily limit. No smoking allowed in cars. Nice alternative to Uber, your not driving people around, but your still making money. Renter must fill the tank with the exact amount of gas at the beginning time of renting the vehicle. Turo also has roadside assistance 24 hours a day. A relatively new company and not a household name…yet. Not able to participate in New York state. Maybe not for everyone as some people are not comfortable renting their car out to anyone. Turo has some regulations on what vehicles they accept on their platform. Car models must be from within a current year and less than 130,000 miles. Must be clean, non-salvaged, or flooded vehicle, etc… No passenger vans or cargo vans. 24 hour Time limit to contacting Turo or any vehicle damage after receiving your vehicle back. So inspect inside and outside of car thoroughly after the car is returned. Mixed reviews from using the Turo to rent cars and for the people who rent their cars out. For newer cars, it is recommended you get the Premium Protection Plan, to cover any damages or theft. Keep in mind you are making less money with the Premium Package 65% of the trip’s price, but you are more covered with the Premium package as compared to the other packages. The standard is 75% of the trips price, and Basic is 85% of the trips price. Very important: Make sure calendar is always up-to-date and your availability down to where it needs to be. As you might be accessed a $50.00 fee. If using Book Instantly, you must be available to respond or deliver the car during the time you have allotted to rent on Turo’s Calendar. So, if you have a set sleep pattern the calendar needs to reflect this as you are unable to respond during your sleep times or other events where you are not available. Minimum of a 3 hour response time. Example if they book a vehicle at 8:00 am you need to respond by 11:00 am. Invest in a sign to hang or display in your vehicle a NO SMOKING sign. A friendly reminder. Download the app to have full and quicker access to Turo account. It is available for Android and iOS. 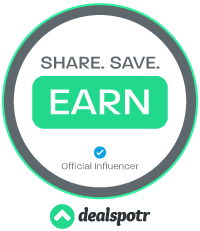 Individuals looking to earn extra money that has a Turo qualifying vehicle to rent for money. Turo has a 24/7 Emergency Line if you run into any problems. Whether it be emergency roadside or collision assistance or damage to your vehicle. Support can also be reached at support@turo.com. Is Turo legit? Yes, it is a totally legitimate company. A nice option if you live in an airport or an area with much-needed car rentals. Turo has a lot of policy to read and understand either to rent a car or to provide a car to be rented. I would highly suggest you thoroughly read their website and comprehend the many details before jumping into this field of this potential income generator. There is money to make here if you have the right vehicle and time to invest. Expect problems here and there as life is rarely ups and downs, but the more knowledge you have at your fingertips, the more prepared you will be and equipped to handle the situation. The amount of money is dependent on the value of your car along with the number of days the car is available for rent. Proximity to an airport I think would be another ingredient as for delivery and pickup equate to your time. You by no means will be pulling in a large sum of cash, but it is another possible stream of income. If you have any question or comments, would love the chance at answering them. Thanks. TURO users beware! As independent business owner who supports the likes of AirBnB, UBER, Lyft, etc, I sadly presumed this company to be on the up and up. It was not. At first I rented a car no problem with the usual requests of a driver’s license number, CC, insurance, etc. However, when I went to rent a 2nd car the same day I was returning a first, as they had no ability to do that online, and they do not have phone customer service, I simply thought what any consumer might, “create a 2nd account,” same informations. Well this turned into a nightmare and I started to see the sham that TURO is and where all of its weak spots were. Firstly, they have no continental customer service. Its all outsourced. BTW, the 2nd account or 2nd car wasn’t an issue as they simply asked me to upload a copy of my driver’s license to which I did and then as the “review process” never finished, I started to inquire. Next thing I know is that they’ve restricted my account, albeit at first, not jeopardizing the one reservation already in place, and then they started asking for more copies of my Driver’s License, a picture of me holding it up, a picture of the original credit card and then when that wasn’t good enough? And keep in mind, this is hours and days going by nearing my original trip, they wanted copies of my insurance card, a utility bill, proof of employment and on and on and on. The end of this story is that they cancelled my account, they cancelled my original reservation and gave no explanation as to why after supplying basics, I was now not allowed to rent cars. The moral of this story? I went online and rented not one, but 2 cars from Enterprise is 5 minutes. Thank you for sharing your experience with Turo.